Organization name: Centro de Economía Social Julián Garcés, A. C.
The Julián Garcés Social Economy Center, founded in 2005, supports the organizing, capacity building and networking of community groups through sustainable development projects and the defense of human rights. Examples of its work include the development of backyard organic gardens for greater food self-sufficiency; the development of seed conservation practices that promote the use of native seeds and independence from transnational corporations; the development of savings and loans programs that include 800 members in 16 communities. 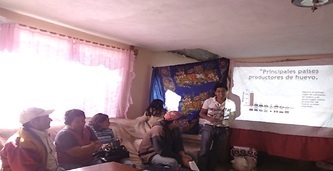 ﻿2014 Project Name: ﻿ Recovering traditional campesino knowledge in order to rehabilitate contaminated soils and to reduce food scarcity of 7 campesino families (Recuperar el conocimiento tradicional campesino, para rehabilitar los suelos agrícolas contaminados y reducir la pobreza alimentaria de 7 familias campesinas). 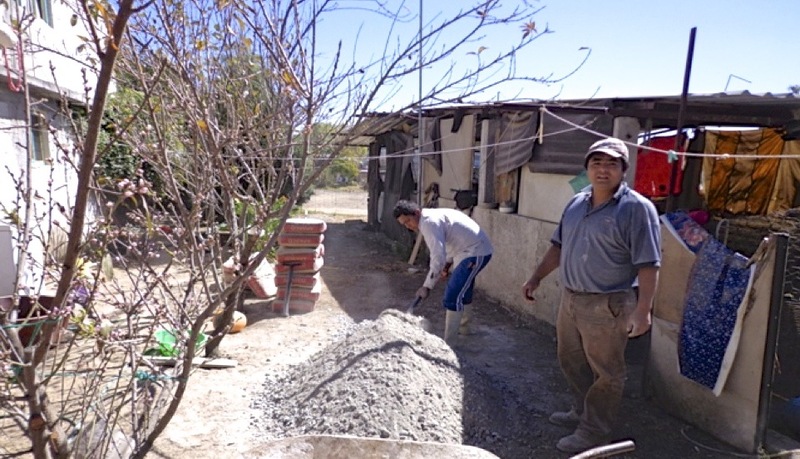 Project description: Develop agro-ecological crop production and soil conservation practices, working with 7 families in 4 communities in the county of Españita. These communities show high levels of poverty, social disintegration, environmental contamination, and migration. It includes farmer-to-farmer sharing of knowledge and practices. Four capacity building workshops on a variety of aspects of production. Production of 21 tons of organic fertilizer. The project seeks to cut costs of production and improve family nutrition. From the 16 committees in 16 communities with which CES works, five projects in three communities were developed: 2 chicken production, 2 with sheep and one bakery. One more project remains to be developed. CES worked closely with the communities in the design, development, and monitoring of the projects. The most successful has been the bakery, which generates 200 pesos ($15.50) per day in income for the family. The projects have also helped improve the nutritional intake of the families. The expectation is that as the families repay their loans, other families will be able to borrow from the fund to develop their own projects. Microfinance projects with very poor families present a variety of challenges. Success is not easy.